Welcome to the Chevrolet Cruze Forum and Holden Cruze Forum. Everything happening in the world of Chevrolet and the Cruze. Great deals on products by supporting vendors! To all diesel cruze owners. Talk about anything Cruze-related here. Mods, favorite things, dislikes. Have pictures or videos that you want to post up of your Cruze, post them here! Don't forget to also create a Garage to showcase your vehicle as well! Post up about important news about other types of vehicles that you think we should all know about! Submit your rides for our ROTM contests! Write-ups for modifications & maintenance. Must be Mod-Approved. Tips, tricks and tools of the trade for detailing your cars! Anything to do with lowering or getting new shoes is in here. 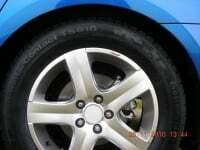 Routine upkeep on your car. Specializing in HID and LED lighting!! Turbo Tech Racing, your number one source for automotive performance parts for the Chevrolet Cruze! Specializing with automotive decals. From customized decals to logos, etc. SKDecals.ca offers the best prices in the automotive decal industry! Offering tuning for the Chevrolet Cruze & Holden Cruze. 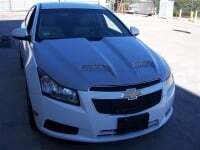 Get the best numbers & performance out of your Cruze from Trifecta Performance. With a 1.4L Turbocharged Diesel with 138 horsepower (103 kW) and 148 lb.-ft. of torque (200 Nm) between 1,850 rpm and 4,900 rpm. Technical Discussions Only. With a 1.8L N/A engine rated at 136 horsepower (103 kW) and 123 lb.-ft. of torque (168 Nm) at 3,800 rpm. Technical Discussions Only. 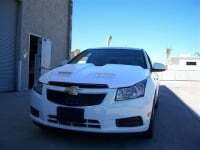 Here you can discuss about if GM will be releasing an SS version of the Cruze. Any inside news about an SS, pics or engines specs of the potential Chevrolet Cruze SS. With a 2.0L Turbo Diesel. Technical Discussions Only. 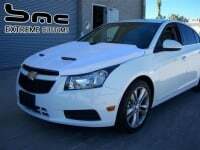 Recalls & TSB's for the Cruze. Post any reviews for Cruze products. Post up your Automotive products for sale. Anything you want to buy? Post up in here! Post up your good and bad reviews. No member bashing, only facts. Track racing stories....1/4 mile, AutoX, etc. We do not condone street racing, as it is illegal. Post up your time slips here. Here you can post about meet/greets/activities or just general chat with locals from your area with the same car interests as you! If you have a meet/greet large enough, please let Admin know and we will post on the home page! Most users ever online was 255, 05-21-2013 at 02:43 AM.